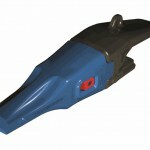 New welding software monitors machine performance for productivity and cost efficiencies (0) March 28, 2016 Technological advances have led to the development of new generations of welding machines designed to deliver greater performance, precision, energy efficiency, cost effectiveness and safety. 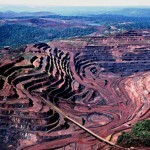 Axiom Mining loses Solomon Islands nickel lease (0) March 24, 2016 Axiom Mining’s licences over a nickel laterite deposit on the Solomon Islands has been set aside, ending another chapter in the five-year running dispute over land leasing. 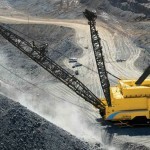 Glencore sees coal mine safety fine doubled (0) March 24, 2016 Glencore’s Bulga coal mine has had a fine doubled on appeal after being convicted of breaching work safety conditions. 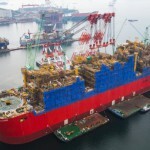 Woodside puts Browse Basin FLNG on ice (0) March 24, 2016 In a fresh blow to Western Australian coffers, Woodside has announced it will not move forward with the Browse basin floating LNG project. Mining supplier satisfaction levels rising (1) March 24, 2016 New reports show miners’ satisfaction levels have risen since the beginning of 2014. Perilya confirms up to 100 jobs to go (0) March 23, 2016 Broken Hill’s Perilya’s Southern Operations will cut between 90 and 100 positions from the historic silver, lead and zinc mine. Iluka Resources managing director to stand down (0) March 23, 2016 Managing director David Robb is soon to end ten years at the helm of mineral sands major Iluka Resources. 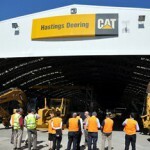 Hastings Deering to cut workers (0) March 23, 2016 Hastings Deering is cutting jobs less than six months after it carried out a major round of redundancies. 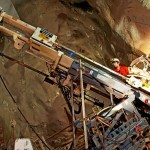 Ulan coal mine sees underground approvals (0) March 23, 2016 Glencore’s Ulan coal mine has received the greenlight for a modification application to expand its underground mine. 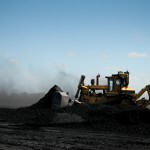 Two more cases of black lung reported in Qld (26) March 23, 2016 The Queensland CFMEU has reported two more workers have black lung, taking the state total to eight confirmed cases of coal miners’ pneumoconiosis since December last year. 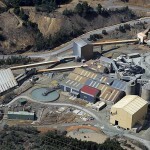 More charges laid over Mt Lyell mine deaths (0) March 23, 2016 Mount Lyell mine operator Copper Mines of Tasmania, and its general manager Scot Clyde, are facing more charges over a string of deaths at the site. 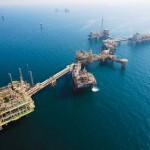 Ichthys LNG workers push for shorter roster (0) March 22, 2016 Following protests last week, Northern Territory union branches have indicated they will step up their efforts to lobby for a 3/1 roster at Inpex’s Ichthys LNG project. 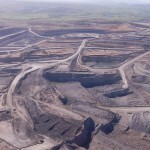 Calls for economic rezoning of Mt Isa (0) March 22, 2016 The Queensland Resources Council has called for establishment of a north-west economic zone, aiming at the cabinet jobs committee visit to Mt Isa today. Curtin Uni software optimises waste dumping [Video] (0) March 22, 2016 Curtin University continues to live up to its expectations in Australia’s biggest mining state with a venture into the mining software market. Santos makes management changes (5) March 22, 2016 Santos has joined the ranks of companies looking to implement change in management, with incoming CEO Kevin Gallagher making new cuts. 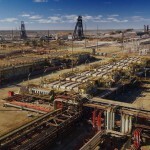 Carnarvon Petroleum to drill new gas well (0) March 21, 2016 Carnarvon Petroleum has fired new market interest with the announcement the company will drill a new appraisal well to test structures north of Port Hedland. Tailings leakage at Yabulu refinery investigated (0) March 21, 2016 Inspections of the Yabulu nickel refinery have revealed significant tailings seepage and elevated levels of ammonia in nearby waterways. 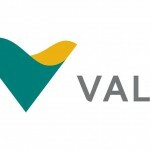 Former Vale CEO killed in plane crash (0) March 21, 2016 Roger Agnelli, the former CEO of Vale who was removed by the government, has been killed in a light plane crash. 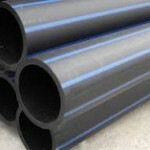 Monadelphous sues over delayed contract (1) March 18, 2016 Monadelphous has lashed out at development groups over $33 million in cost blowouts for their FMG Pilbara pipeline job. 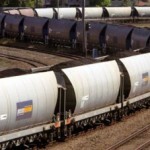 Glencore to sell rail haulage assets (1) March 18, 2016 Glencore has announced it intends to sell its Hunter Valley coal rail assets. 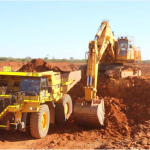 100 per cent FIFO policy ends (13) March 18, 2016 The Queensland Government will no longer allow new mining projects to operate under a 100 per cent FIFO policy. 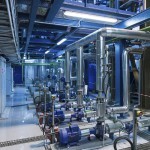 Connecting your company in an age of connected products (0) March 18, 2016 What is manufactured as well as how it’s manufactured are both changing – and fast – and the race is on to adopt smart innovation. 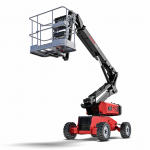 Ausdrill sells DT HiLoad to Schlam (3) March 18, 2016 Ausdrill has sold its DT HiLoad truck tray business to WA-based Schlam Engineering. Rio Tinto announce new CEO (6) March 18, 2016 Sam Walsh has announced he will retire from Rio Tinto in July, and will be succeeded copper and coal head Jean-Sebastien Jacques. 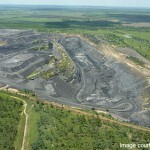 Adani mine reaches approvals milestone (23) March 17, 2016 Adani’s Carmichael mega coal mine has taken a step forward after it reached agreements with all landholders. 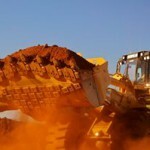 Majors remain bearish on iron ore (0) March 17, 2016 BHP head Andrew Mackenzie has reiterated his pessimistic position on iron ore, pointing to the growing oversupply issue. 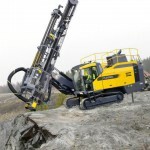 Sandvik forms new mining division (4) March 17, 2016 Sandvik has unveiled a new business division, Sandvik Mining and Rock Technology. Sodexo wins $2.5 billion Rio contract (27) March 17, 2016 Sodexo has been awarded a ten year, $2.5 billion contract to provide facilities management services to Rio Tinto’s Pilbara operations. 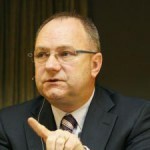 Anglo American CEO sees pay cut (0) March 16, 2016 Anglo American CEO Mark Cutifani has followed Rio’s Sam Walsh’s example and cut his executive pay. 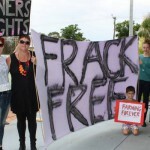 QLD throws support behind Adani coal mine (0) March 16, 2016 Queensland parliament has thrown its support behind the Adani Carmichael coal mine. Decmil wins BHP warehouse contract (5) March 16, 2016 Decmil has been awarded a contract to design and construct a new BHP warehouse facility in Port Hedland. 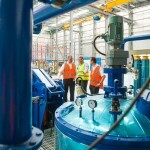 New tailings research facility in Port Melbourne (0) March 15, 2016 Weir Minerals has announced a new technology investment in Australia, which the company says will aid the development of tailings-based products and solutions for the Australian mining industry. 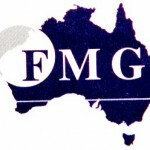 Moody’s downgrades FMG, gives negative outlook (0) March 15, 2016 Moody’s has downgraded Fortescue Metals’ corporate family rating and its senior secured and unsecured ratings. 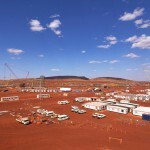 Sodexo wrest Rio camp contracts from Spotless (0) March 14, 2016 French catering giant Sodexo has reportedly won a lucrative contract to manage all of Rio Tinto’s camp sites in the Pilbara. Alkane Resources in bid to supply aerospace industry (0) March 14, 2016 Alkane Resources has revealed it is in talks with major aerospace firms about supplying a crucial rare earth element used in jet engine manufacture. Union members protest over Ichthys LNG conditions (0) March 14, 2016 Union members rallied in Darwin yesterday to protest against working conditions at the Ichthys LNG construction project. Former mining boss jailed for insider trading (0) March 14, 2016 A former boss of Hanlong Mining has been sentenced to eight years in jail on insider trading charges. 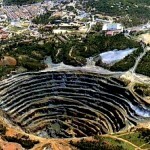 Newmont sells stake in Regis Resources (0) March 14, 2016 Newmont has sold its major share in Australian gold miner Regis Resources. 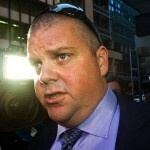 Rinehart moves to establish new legal precedent (0) March 14, 2016 Gina Rinehart’s stoush with Channel Nine over the ‘House of Hancock’ miniseries has taken a new turn, with her legal team claiming the producers breached an as-yet imaginary law. 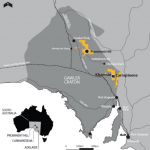 Macmahon wins coal contract (5) March 14, 2016 Moreton Resources has awarded Macmahon the mining contract for the South Burnett project. 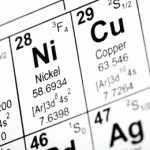 Queensland Nickel workers remain in limbo (0) March 11, 2016 The future hangs in the balance for 550 Queensland Nickel employees, due to have their contracts terminated at 5pm this afternoon. 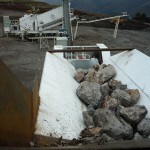 Kinder develops super heavy duty mine specific conveyor belt scraper (0) March 11, 2016 Kinder Australia has developed the Eraser SHD, a super heavy duty conveyor belt scraper designed for mine applications. 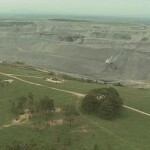 Newcastle coal exports down (4) March 11, 2016 Newcastle coal exports are down 9 per cent in 2016 year on year, according to the Hunter Valley Coal Chain Co-ordinator. FLIR launches world’s first thermal imaging clamp meter (0) March 11, 2016 FLIR Systems Australia announces a new thermal imaging clamp meter featuring an in-built thermal camera for use in electrical troubleshooting applications. Queensland Nickel refinery workers sacked, again (0) March 10, 2016 The remaining 550 workers at the Queensland Nickel refinery have been informed this afternoon that they will be unceremoniously sacked on Friday at 5pm. More than 100 to go at Southern Operations (0) March 10, 2016 Around 120 jobs are expected to be cut from Perilya’s Southern Operations mine at Broken Hill. 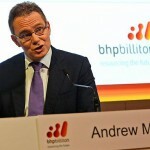 Henry brings in new regime for BHP (0) March 10, 2016 BHP’s plans for a new management structure in Australia looks set to provide new cost savings under the watch of new Minerals Australia operations president Mike Henry. 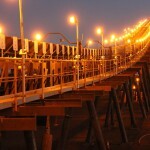 Job cuts loom closer for Rio Tinto Pilbara operations (11) March 10, 2016 Rio Tinto is poised to cut 170 jobs from iron ore operations in the Pilbara, with official announcements expected this week. 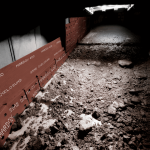 IAQ welcomes 2016 Major Projects Report released (0) March 10, 2016 The release of the QMCA Major Projects 2016 report has shown mining capital investment at historic lows and large scale coal seam gas projects shifting out of the building stage. 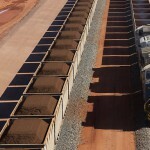 Forrest reignites call for iron ore oversupply investigation (0) March 10, 2016 Fortescue Metals’ chairman Andrew Forrest has once again called for a probe into the increasing levels of iron ore oversupply. QLD appoints women to mine safety board (0) March 10, 2016 Queensland’s mining industry’s Board of Examiners has appointed its first female members. Septentrio delivers machine control receivers to world’s largest iron ore mine (0) March 10, 2016 Septentrio Americas has delivered over 40 GNSS machine control receivers for deployment at Vale’s S11D Iron Project in Carajás, Brazil. 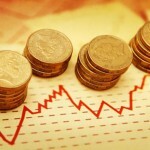 Mining’s rally soon to end, investment groups say (0) March 9, 2016 Mining’s strong start to 2016 will soon reverse, with a number of investment houses predicting another decline ahead for the industry. 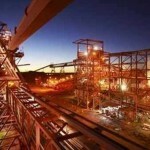 Cockatoo Coal restructure leaves Aurizon and WICET in the loop (889) March 9, 2016 Aurizon is set to lose $100 million in revenues after Cockatoo Coal failed to fulfill the terms of its contracts with the Wiggins Island Coal Export Terminal. Fitch dismisses potential coal rise (23) March 9, 2016 Fitch Ratings has rejected predictions coking coal prices will increase any time soon. More coal mining jobs go in NZ (0) March 9, 2016 What remains of Solid Energy is cutting more than 40 jobs at its Stockton coal mine. 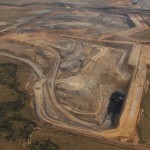 Massive 290 redundancies at Mt Arthur Coal (2) March 8, 2016 Any prospect of Mt Arthur coal mine going on the chopping block has been delayed with the announcement that BHP will implement cost-cutting strategies with the retrenchment of 290 workers. Palmer squeezes back into refinery driver’s seat (0) March 8, 2016 In a move long awaited by many, Clive Palmer taken responsibility for his business interests and swooped in to save the day for the Yabulu Refinery. 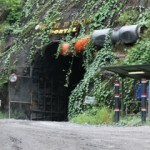 Indonesia may run out of coal in under 20 years (0) March 8, 2016 A new PricewaterhouseCoopers report states Indonesia may exhaust its economic coal reserves by 2033. 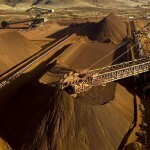 Iron ore sees largest one day rally in years (0) March 8, 2016 Iron ore has jumped nearly a fifth in value overnight, marking a continuing strengthening of the commodity over the year to date. 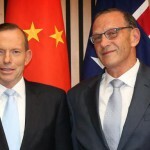 Fortescue and Vale sign China focused MoU (0) March 8, 2016 Fortescue has signed a non-binding MoU with fellow iron ore major Vale S.A. to create a JV and blend their own together. 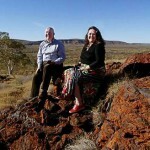 Rinehart wins recognition again (0) March 7, 2016 Gina Rinehart has won another treasured award over the weekend. Rio Tinto boss Sam Walsh reports pay cut (0) March 7, 2016 Rio Tinto CEO Sam Walsh has copped a $1.3 million pay cut over the past year, down from 10.4 million in 2014. 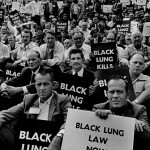 Black lung senate inquiry opens public hearings (0) March 7, 2016 The senate inquiry into Queensland’s resurgence of miners’ pneumoconiosis opens today, the first of two public hearings this week which will examine the state’s mine worker’s health monitoring scheme. 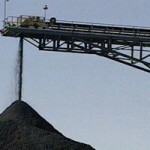 Are coal prices set to rise? (11) March 7, 2016 Steps by miners to cut coking coal oversupply are having positive effects in the market, with metallurgical coal prices predicted to rise. Sandvik signs crushing and screening partnership with Schenck (0) March 7, 2016 Sandvik Mining and Schenck Process have signed a global partnership to provide increased screen processing and cone crusher capacity. Thyssenkrupp wins coal port contracts (4) March 7, 2016 Thyssenkrupp Industrial has won two contracts to replace materials handling equipment at the Port Kembla Coal Terminal. 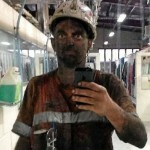 Black lung numbers sure to increase (0) March 4, 2016 Around 1000 coal miners in Queensland may have symptoms of miners’ pneumoconiosis, according to the CFMEU. 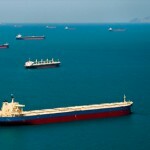 Gorgon to reach first shipment milestone (0) March 4, 2016 The Gorgon Project is set to ship its first cargo of LNG in a matter of weeks, a long awaited milestone for the delayed project. 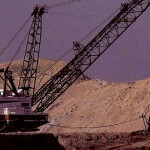 MineWare sells 100th dragline monitoring system (0) March 4, 2016 Mining technology company MineWare has signed the 100th deal of its flagship Pegasys dragline monitoring system, achieving the milestone mark in just over a decade of operation. 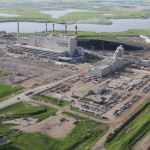 Yancoal’s Donaldson coal to shut down (0) March 3, 2016 Yancoal’s Donaldson coal operation will go into care and maintenance from June this year, in response to the global commodity downturn. 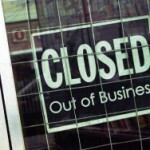 More miners to go bankrupt in 2016 (30) March 3, 2016 Analysts and investment groups are touting an acceleration of mine closures this year. Atlas Copco launch new handheld breakers (0) March 3, 2016 Atlas Copco has unveiled its latest handheld pneumatic break, the lighter RTEX. Truck driver dies at Victorian sand quarry (0) March 2, 2016 A truck driver has died in Victoria after her vehicle tipped over the edge of a quarry. 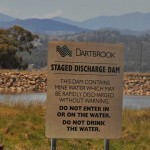 Mt Arthur coal on thin ice (0) March 2, 2016 The future of the Mt Arthur coal mine has attracted widespread interest following comments from Andrew Mackenzie that the project was “touch and go”. 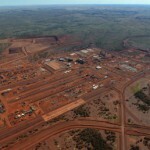 Rio Tinto may look to cut iron ore workers (873) March 2, 2016 Reports are emerging that Rio Tinto may look to cut hundreds of jobs in the coming months. 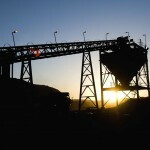 Australia voted world’s best mining region (0) March 2, 2016 Australia has stormed to the top of the world’s mining rankings, taking out a number of top spots in this year’s Fraser Institute mining survey. 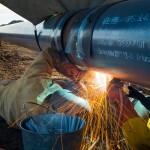 Valmec wins maintenance contract for APLNG (0) March 2, 2016 WA engineering and construction firm Valmec has won a long-term contract worth $24 million for LNG services in Queensland. 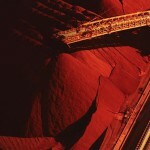 BHP changes tack on increasing iron ore levels (0) March 2, 2016 BHP has shifted its position on pushing its iron ore production levels in this currently oversupplied market. 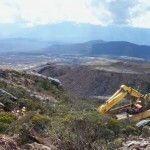 Northern Star Resources to outsource at Kundana gold (0) March 2, 2016 Northern Star Resources is due to put its Kundana gold operation up for tender, with pundits predicting a bidding war among prospective contractors. Rio Tinto sees non-exec board changes (0) March 2, 2016 Richard Goodmanson, a non-executive director at Rio Tinto, has announced his retirement. 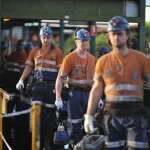 Alcoa disavows strike-breaking job ad (0) March 1, 2016 A job ad posted by Downer EDI has been pulled down after unions accused the company of “19th century strike-breaking tactics”. BHP’s credit rating reaffirmed (0) March 1, 2016 Changing its tack to its dividend policy has seen BHP avoid another credit rating downgrade. 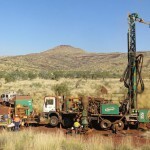 Exploration brings unexpected lift in December quarter (0) March 1, 2016 Australia’s level of exploration has rallied in the last quarter, improving on the lowest rates seen since the GFC. Hail Creek beaten in long running dispute (0) March 1, 2016 A lengthy court battle for a former Hail Creek coal mine worker has nearly come to a close, six years after a serious workplace injury. 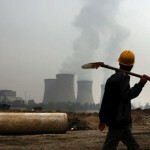 China to decimate coal and steel sector (2) March 1, 2016 China has announced it will lay off close to two million workers in its coal and steel industry to help cut market oversupply. Mining continues to keep Australia out of recession (1) March 1, 2016 Sustained growth in mining production and export levels has managed to buoy Australia’s economy, protecting it from a potential recession, new BIS Shrapnel data states. 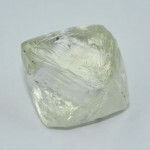 Lucapa sells massive diamond for $22.5 million (0) March 1, 2016 Australian miner Lucapa Diamond has sold its enormous 404 carat stone. Samarco lawsuit settlement to be announced (0) February 29, 2016 Settlement of a lawsuit against Samarco Mineracao will be announced by the Brazilian government tonight. Gold production reaches 12 year high (0) February 29, 2016 Australia’s gold production has reached a 12 year high on the back of soaring gold prices. Russian mine explosions claim 36 lives (0) February 29, 2016 A series of underground coal mine explosions in Russia far north have killed miners, and their rescuers, at Severnaya coal mine, in Vorkuta. 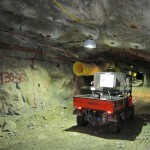 Underground vehicle crash attributed to driver error (0) February 29, 2016 A light vehicle has crashed into an underground mine wall after the driver mistook the clutch for the brake. 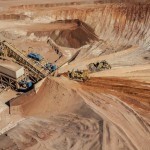 Fortescue survives industry credit re-rating (0) February 29, 2016 Fortescue has survived the industry-wide credit downgrading unscathed and unchanged. Extreme design for fixed unit industrial PCs (0) February 29, 2016 The computing needs of industry have been developing, becoming more complex and specialised throughout the last decade, with a dramatically changing industrial and commercial computing landscape. Airlift from Russell Vale Colliery (4) February 26, 2016 A worker has been airlifted from the Russell Vale Colliery after suffering an injury underground. 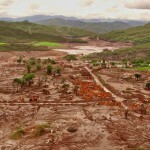 Legal action continues to mount against Samarco joint venture (0) February 26, 2016 Brazilian Police have accused six Samarco executives of homicide over the deaths of 19 people in the tragic Samarco Mineracao tailings dam collapse and subsequent mudslide. 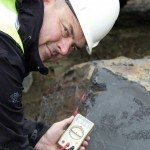 Research launched to uncover new European deposits (0) February 26, 2016 Exeter University scientists are leading a new collaborative project to discover new mineral deposits across Europe. 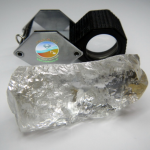 Zimbabwe to face legal opposition to diamond acquisitions (0) February 26, 2016 The Zimbabwean Government will face legal action over the forced acquisition of diamond mines in the Marange region. 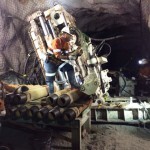 OZ Minerals to ramp up Carrapateena development (0) February 26, 2016 OZ Minerals has accelerated its plans to develop a new mine, the Carrapateena copper gold project, creating hundreds of new jobs. 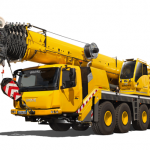 Manitowoc launches Grove GMK4100L-1 taxi crane (0) February 26, 2016 Manitowoc has introduced a new Grove all-terrain crane for the global market. 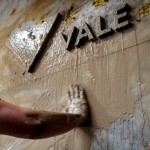 Vale posts its worst loss ever (0) February 26, 2016 Vale has recorded its worst quarterly net loss, and is considering the divestment of core assets. 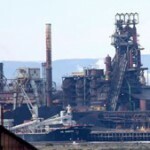 Arrium to make 30 redundancies, seek temporary pay cuts (0) February 26, 2016 Arrium has announced that it will make 30 redundancies and will ask mining employees to take a temporary pay cut of 10 per cent. 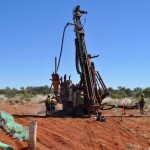 Mineral footprints may point to more zinc under McArthur Basin (0) February 25, 2016 CSIRO geologists have found ‘mineral footprints’ pointing to potential high grade zinc mineralisation deep under the existing McArthur River deposit. 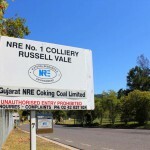 Former mines inspector speaks out about black lung (0) February 25, 2016 A former mines manager and inspector has said that changing culture in the coal mining industry was partly to blame for the re-emergence of black lung in Queensland. 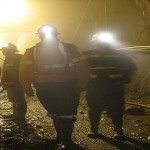 Contractor fined for 2013 Telfer gold mine death (0) February 25, 2016 A fine of $130,000 has been issued to the company responsible for the death of a man at the Telfer Gold Mine in 2013. 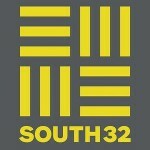 South32 to cut workers by close to a fifth (0) February 25, 2016 South32 has announced a major restructuring, with plans to cut more than 800 positions from its Australian workforce, as its revenue falls close to a third. 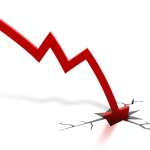 Rio Tinto ratings downgraded (4) February 25, 2016 Rio Tinto has suffered the same fate as other major miners, as its rating is downgraded and it’s given a negative outlook. 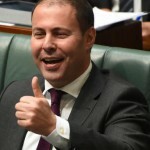 Federal government announces new centre for innovation (0) February 24, 2016 Federal ministers Josh Frydenberg and Christopher Pyne have announced the government will launch a new Growth Centre to drive innovation and productivity in the Australian resource sector. 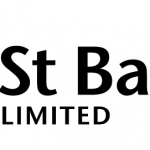 Southern Cross win Jimblebar contract (0) February 24, 2016 Southern Cross Electrical Engineering has been awarded a subcontract for work at BHP’s Jimblebar iron ore mine. 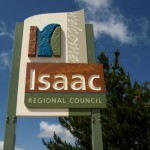 Regional council throws support behind Carmichael project (0) February 24, 2016 Adani has struck a compensation deal with the Isaac Regional Council which will apply to infrastructure affected by the Carmichael project. 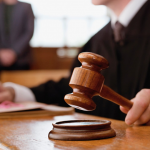 Right of objection handed back to landholders (0) February 24, 2016 The Queensland government has passed legislation which will return rights to landholders and other objectors to take legal action against resources projects. Palmer’s assets under pressure (24) February 24, 2016 Clive Palmer is feeling the pain across a number of his assets, with Mineralogy back in court and liquidators moving in to bail out Queensland Nickel. 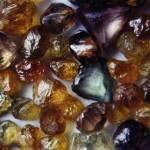 Zimbabwe nationalises Marange diamond mines (2) February 23, 2016 The Zimbabwean government has taken control of the Marange diamond fields, ordering nine companies to cease all mining activities. 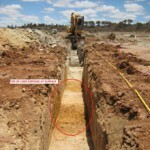 Toxfree win BHP industrial waste contract (0) February 23, 2016 Toxfree Solutions has won a five year contract to provide industrial and waste management services for BHP’s Olympic Dam mine. 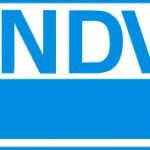 TNG signs development MoU with Downer (0) February 23, 2016 Metals company TNG has signed a development, construction, and mining MoU with Downer for the Mount Peake vanadium mine. 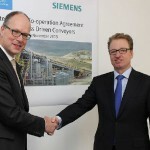 ThyssenKrupp and Siemens continue conveyance partnership (0) February 23, 2016 Increasing challenges to meet new productivity goals in the post-boom market have led ThyssenKrupp and Siemens to continue their mining industry partnership for another five years. 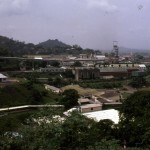 Barrick carries out bond buyback (0) February 23, 2016 Barrick Gold has announced it will carry out a US$750 million bond buyback. 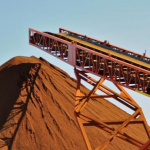 Iron ore recovers to $US50 mark (0) February 23, 2016 Iron ore has bounced higher on the back of hopes in renewed Chinese metal demand, finally breaking over the $US50 per tonne mark for the first time since September. 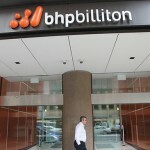 BHP announces massive loss and ‘simplification’ (1) February 23, 2016 BHP has announced an enormous loss, as well as massive management shakeups that have seen division heads get the chop as it changes its dividend policy. Woodside CEO lacks faith in “mega-projects” (0) February 22, 2016 The future of the Browse Basin LNG project is uncertain, with Woodside petroleum reporting a 99 per cent fall in full year profit. 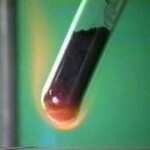 New uses for copper in a climate-change world (0) February 22, 2016 Copper could become a crucial ingredient in reducing fossil fuel emissions, with new research showing the element improves the efficiency of chemical looping. 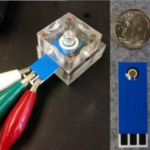 New metal biosensing technology developed (5) February 22, 2016 A new litmus test for uncovering potential gold and other metals has been developed to support geochemical exploration. 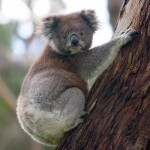 Shenhua cleared for koala move at Watermark coal development (0) February 22, 2016 Legal opposition to Shenhua’s Watermark coal mine, based on threats to local koala populations, has been quashed by the Land and Environment Court. 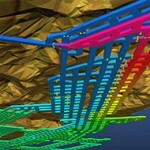 New ventilation software launched (1) February 22, 2016 Chasm Consulting has released the latest version of its mine ventilation simulation software. 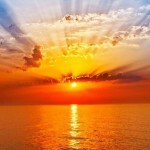 Bond seizures under the spotlight at Roy Hill (0) February 19, 2016 The Roy Hill Holdings is chasing a $235 million performance bond from Samsung C&T as Samsung wins a similar case against Laing O’Rourke on the Roy Hill project. Orica re-launch Minova (10) February 19, 2016 Orica has relaunched its Minova Group as a stand-alone business following its restructuring. 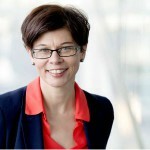 Sandvik joins CEEC (0) February 19, 2016 Sandvik has joined the Coalition for Energy-Efficient Comminution, a knowledge sharing and change group focused on mining’s high energy consumption issues. 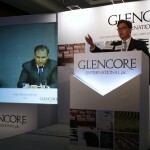 Glencore carries out US$8.4 billion refinancing (0) February 19, 2016 Glencore has carried out an early refinancing of its Revolving Credit Facility to replace its existing US$8.45 billion facility. Swedish graphite proves ideal for lithium-ion battery market (0) February 18, 2016 Graphite producer Talga Resources announced testwork on its Swedish product has shown reduced need for processing before use for battery manufacture. Iluka ups stake in titanium powder processing company (0) February 18, 2016 Metal powder technology company Metalysis has gained a further £20 million ($39.8 million) investment from Perth-based mineral sands resources company Iluka and a high-profile British investor. 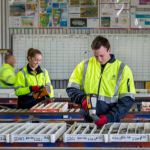 New core library opens in Adelaide (0) February 18, 2016 The South Australian Government has followed through on the election promise of a new drill core library, opened at Tonsley yesterday. 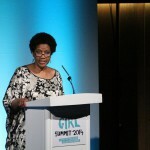 Sustainable productivity key to industrial success (0) February 18, 2016 Whenever a company commits to embracing the idea of operating and producing sustainably, it usually requires a mountain of commitment. Mining starts at Devon gold operation (0) February 17, 2016 GME Resources has begun operations at its Devon Gold mine in WA. 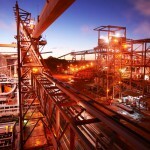 Iluka’s SA mineral sands operation to halt operation (0) February 17, 2016 Iluka Resources is set to mothball the Jacinth-Ambrosia mine in South Australia, with 33 jobs to be cut. 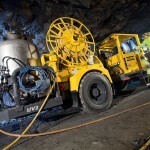 Miner injured in underground accident (2) February 17, 2016 A supervisor has suffered crush injuries in a Western Australian underground mine after he was pinned between two vehicles. 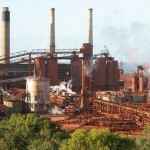 Extent of job cuts at Queensland Alumina unknown (0) February 17, 2016 Queensland Alumina Limited has followed through with the necessity of job cuts at the Barney Point refinery, however it is still unclear how many have gone. 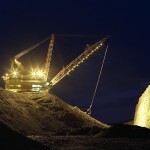 Anglo American to exit Australia, posts massive loss (2) February 17, 2016 Anglo American has announced it will completely exit coal, selling off its Australian assets as the miner posts a US$5.6 billion loss. 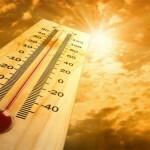 Will gold drop to triple digits in 2016? 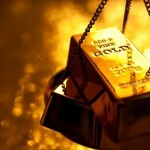 (0) February 16, 2016 Despite gold starting 2016 as the best performing commodity, some analysts are predicting the metal will drop below US$1000 this year. 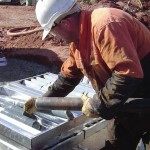 Geologist employment continues to dive (21) February 16, 2016 Geoscientific employment in Australia continues to plumb new depths, with record underemployment since the start of the Australian geoscientist employment survey in 2009. 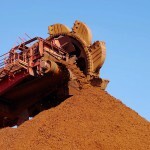 Iron ore sees small rally (0) February 16, 2016 Iron ore has seen a slight recovery as a stronger Chinese economy, and lower exports, lifts the metal. 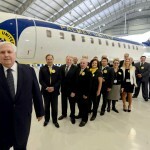 Travel rorts and an AFP investigation of former minister Stuart Robert (0) February 16, 2016 Recently resigned federal minister Stuart Robert spent over $1600 of public funds on a trip to a North Queensland mine in which he had recently bought shares. 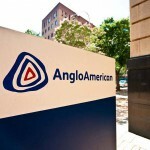 Anglo American ratings downgraded (4) February 16, 2016 Moody’s has downgraded Anglo American to a negative outlook. PPE for Machinery with Hardox Wearparts (946) February 16, 2016 Mining is one of the toughest industrial sectors in Australia: It’s tough on the people, and it’s tough on the gear. 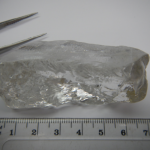 Lucapa uncover largest diamond ever found by Australian company (0) February 15, 2016 Lucapa has recovered a 404.2 carat diamond. 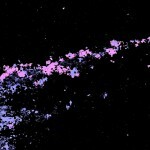 Exploration Development Incentive benefits 84 companies (0) February 15, 2016 The Federal Exploration Development Incentive has seen broad industry coverage in the first year, with $70 million spend on greenfields exploration to the benefit of company shareholders. 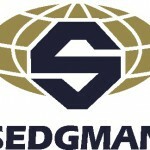 CIMIC to acquire Sedgman (998) February 15, 2016 Sedgman has agreed to CIMIC’s takeover offer. 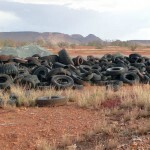 Tyres dumped on Rio Tinto Pilbara site (0) February 15, 2016 An earthmoving contractor in WA has been fined for his responsibility in the dumping of 700 used tires on a Rio Tinto property at Paraburdoo. 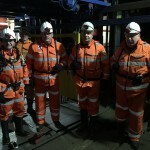 Newcrest getting closer to rescuing trapped worker (0) February 15, 2016 Newcrest has made “significant progress” in its efforts to rescue a miner trapped underground for close to a week. 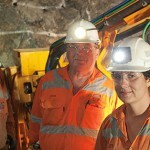 Do you have a story idea for Australian Mining? 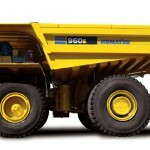 (0) February 15, 2016 Send us your breaking news tips to win a fantastic Komatsu 960E model haul truck. 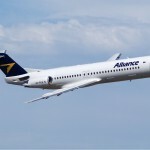 Alliance and Virgin sign FIFO partnership (0) February 15, 2016 Alliance Aviation and Virgin have entered a long term partnership to build their FIFO mining offering. Senate to investigate black lung resurgence (0) February 12, 2016 The re-emergence of black lung amongst Queensland coal miners has launched a Senate investigation into the issue. 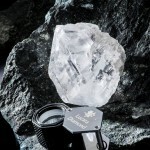 Alrosa uncovers 122 carat diamond (0) February 12, 2016 Alrosa has found an enormous 122 carat diamond from its well-known Jubilee pipe.